Tracking Santa? There’s an App for that. You are at:Home»Uncategorized»Tracking Santa? There’s an App for that. Since 1958, the North American Aerospace Defense Command, or NORAD, has been helping children keep tabs on Santa Claus, but this year tracking Mr. C will go 21st century. 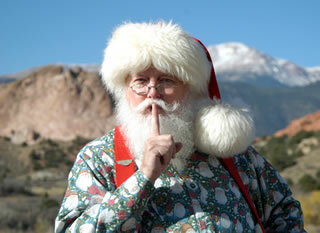 NORAD has all kinds of holiday fun on its Santa tracking website, http://www.noradsanta.org, this year. The site went live Dec. 1 and features a countdown calendar, a kid’s countdown village complete with holiday games and activities that change daily, and video messages from students and troops from around the world, according to a press release from the 21st Space Wing Public Affairs. But who needs a website when you’ve got a smartphone? This year parents and children can use their smartphones to stalk jolly old St. Nicholas using free applications from Apple iTunes Store and the Android Market. You can also track the big man in the red suit on popular social media sites like Facebook, Google+, YouTube and Twitter, according to the press release. Santa followers should type “@noradsanta” into each search engine to get started. Starting at midnight MST on Dec. 24, website visitors can also watch Santa as he makes all the preparations for his flight. Then, at 4 a.m. MST, trackers worldwide can talk to a live phone operator to inquire about Santa’s whereabouts by dialing the toll-free number 1-877-Hi-NORAD (1-877-446-6723) or by sending an email to noradtrackssanta@gmail.com. NORAD’s “Santa Cams” will also stream videos as Santa makes his way over various locations worldwide.